Kids In The House receives questions everyday about the struggles you face as parents and Leana Greene, CEO of Kids In The House and parenting trend expert, wants to help you! She has been working hard to find the nation’s top experts to help find answers to your parenting questions. She now answers popular questions from around the nation in her monthly “Ask Leana” article! Question #1: Why can’t I get my child to behave in school? As a parent, it is difficult to hear your child is misbehaving in school and it can be a very stressful situation. It’s easy to feel that you are doing something wrong and start blaming yourself and your child, but don’t let it get you down! Neither parents nor children are perfect; it’s important to be proactive and investigate why your child might be acting out. The first step is to do some detective work to figure out what the underlying issue may be. Schedule an appointment with your child’s teachers and school administrators. It can also help to schedule some extra one-on-one time with your child and try to get them to share with you about what is going on. I have found with my children that doing an activity while you talk, such as cooking or shopping, makes it easier for the child to open up. Lee Hausner, a psychologist who has worked with the Beverly Hills School District for 19 years, explains that it is important to make sure your child is in a learning environment that is the right match for his or her learning style. Maybe the child is not being academically challenged or the environment could be too stressful. They may also be struggling socially and feeling like they don’t fit in. Another possibility as to why they are misbehaving may be due to the fact that they don’t understand the current school material and are releasing their frustrations in inappropriate ways. This frustration could potentially be a sign that they may have a learning disability. As a child, a lot of my acting out came from the fact that I had dyslexia and from the shame and frustration of not being able to understand things that other children could do so easily. 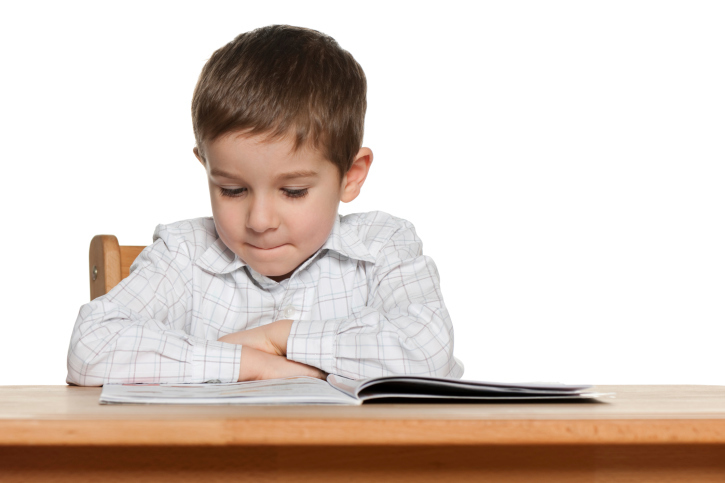 You may be able to figure out what’s going on academically with your child by discreetly observing them while they do their homework. If you suspect that your child has any kind of learning disability, having them tested is absolutely crucial. If you are dealing with an academic struggle that is temporary, it’s usually worth the time and money to hire a professional tutor or else find another child who can help explain things to your child. Doing so will not only help your child do better and act better in school, but also helps to preserve the relationship you have with them. In my own experience, trying to help my children with academics only led to more frustration. In addition, Lee Hausner explains that as parents we often have high expectations for our children and believe that they will be the next Einstein or President of the United States; however, this is rarely the truth. 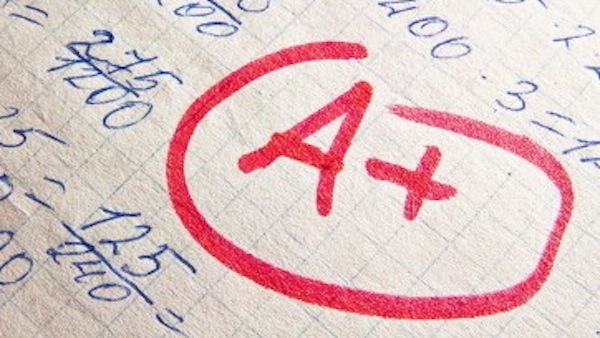 Creating realistic expectations for your child and recognizing their work effort instead of their grades will usually, in the long run, lead to your child becoming a more successful human being. After all, there are very few employment situations where one would excel more from their grades in algebra than from their strong work ethic. If your child’s misbehavior in school does not have anything to do with academics, it might be due to an emotional issue. When dealing with my own children’s emotional issues, I have found Elizabeth Pantley’s advice to be really helpful. Remembering that your child is acting out not because they want to give you a hard time but rather because they are having a hard time, helps to put things into perspective and have a more empathetic point of view. Ross Greene, a professor of psychiatry at Harvard, says that 40 years of research has shown that an emotionally challenged child is only challenging because he or she doesn’t have the skills not to be. Children do well if they can, but identifying the problem is only half the work in finding the solution. Helping a child who is acting out in school can be a long process, but it’s worth it in order to help them work through their challenges and progress as both a student and an individual. My kids hate it when I try to help them with their homework! I've also found that working with a teacher or a tutor is better than trying to do it on my own. Thanks for the advice! I'm definitely going to try some of these things out! It was a rough year for my son and I'm hoping he can do better in the fall at school. My son can be quite the "class clown" sometimes. We started realizing his behavior was especially bad in his math class and that it was happening as a means to avoid the subject. We got him a tutor and things got a lot better! I acted out in school and it was usually because I was super bored by the content. But I had some really great teachers who helped make the classes fun for me and gave us projects that were interactive so we had something to keep our minds awake. my little brother was a "school rebel" and it turns out he had ADD. once they figured that out things really started to change for him and he started doing a lot better in school. My wife also has Dyslexia and it made school very hard for her. It's important to try to find it early on so both parents and educators can help the child address the issue and change teaching styles so they more appropriately fit the child's needs.